Should I Consider Computer Crime Coverage? Businesses today rely heavily on the use of computers to manage their internal operations. Placing customer orders, inventory control, accounts payable to name a few. In addition, online banking has become an easy and efficient method of bookkeeping. Unfortunately, it could potentially make a thief's job easier too; that's why computer crime coverage is essential for businesses today. This coverage is designed to protect you from the loss of money, securities and other property fraudently transferred by computer from your premises (or the bank's premises) to somewhere else (most likely the thief's foreign bank account ). 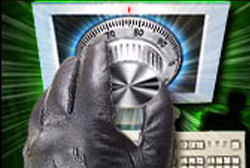 Computer crime coverage, combined with fraudulent funds transfer, also protects you from loss of funds resulting from a fraudulent instruction given to a financial institution to transfer, pay, or deliver funds by phone, fax, or some other means other than computer. Thefts such as these are happening more frequently, and can deplete the bank accounts of their victims in a matter of seconds. Speak to your Knowledge Broker about these coverages and how they may be important to your business.